The smart home movement is in full effect, for the right price. Unfortunately, that price is pretty high, particularly for the everyday consumer. 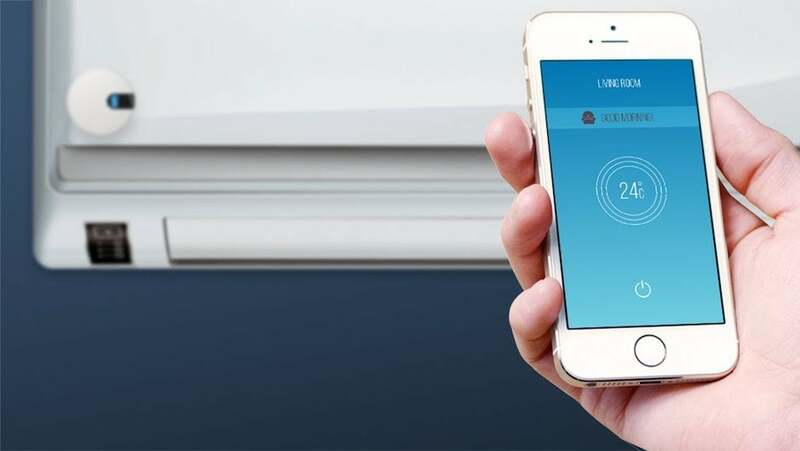 If only there were a way to add smart features to your otherwise disconnected portable air conditioner sitting on your window sill. Well, say no more, the Sensibo has you covered. Sensibo gives your window unit, split system, or stand-alone A/C unit a full smart thermostat treatment for a surprisingly affordable price. Fully integrated with Google Home, accessible via IFTTT, and within reach from anywhere via smartphone app, Sensibo puts your air conditioner online and in your control. Using geofencing, it can activate the A/C before you arrive, welcoming you to a cool and comfortable home. Sensibo can help reduce your energy bill by automatically turning off your air conditioner when the last person leaves the house, following a 7-day schedule and reminding you to clean your filters. The Sensibo Sky is an attractive unit that blends well in the home. I’ve placed it on the opposite side of the room from my A/C unit, adhered to the wall. The Sky was very easy to set up. Just download the app, plug in the unit, point the remote, press power, and away we go. The power and fan settings worked right off the bat, and the lack of lag or wait time was quite impressive. 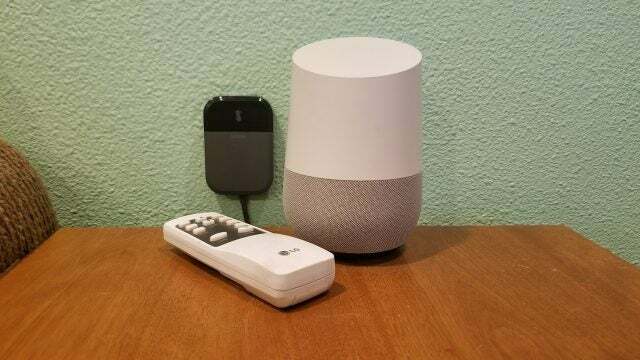 In the video below showing the Google Home compatibility, you’ll notice that the Sky actually responds faster than the Home can speak its confirmation. Despite difficulty setting up the sync temperature function, I was amicably assured by customer service that the problem was due to my use of an older LG stand-alone AC system. So, if you have one of these units, make sure to address the problem beforehand. Fortunately, if problems do arise, the customer support from the manufacturer was top notch. Adding the Sky to my Google Home was a three-second process and it worked immediately. As shown in the following video, it’s quite handy and very fast. I also hooked it up to IFTTT, and while I didn’t make any custom rules, I can only imagine the kinds of things you could make this device do. Perhaps I’ll hack an Amazon Dash button and turn it into a remote on/off physical switch using IFTTT and Tasker? Who knows! The possibilities are endless.